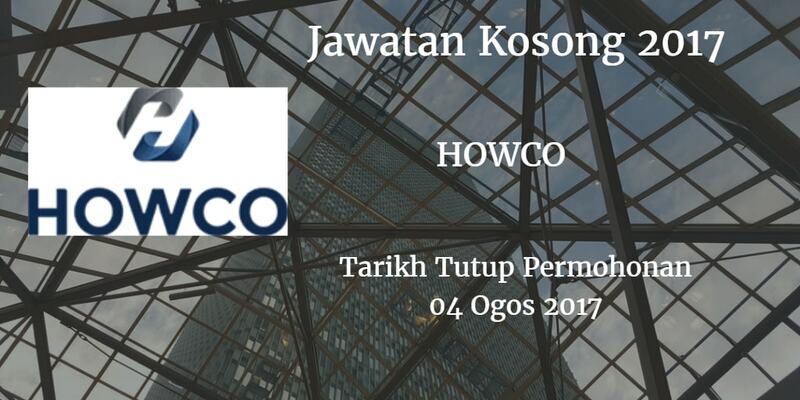 HOWCO Warganegara Malaysia yang berminat bekerja di HOWCOdan berkelayakan dipelawa untuk memohon sekarang juga. Follow company health & safety policies resulting in a safe, clean & controlled working environment. Set up, operate & maintain various sizes & specs of bandsaws. Understand the different sawing requirements of different metals, up to & including nickel alloys. To check cut & mark materials in accordance with written work orders. Sort materials & work orders by due dates & priority as required. Update computer steps & schedules. Perform general tasks ii & when required to maintain flexibility across the plant. Conform to company safety work practices. Ability to read & write, convey & understand written & verbal instructions English. Good writing skills and Good attention to detail. Able to work flexible hours, often at short notice. when required. Overhead & Jib crane experience preferred. Must be able to attend interviews, training & meetings in Singapore as required. Ability to bend, kneel. walk & stand for long periods. Ability to lift up to 50 lbs. safely. Ability to read tape measures & using engineering squares. Operate the heat treatment furnaces and quench tanks. Operate a rail bound charger to load / unload furnace load. Operate computerized furnace recording software. Willingness to learn and adapt to new philosophies of working. Loading and unloading material from a charge using an overhead crane, side-loader or fork truck. Operation of a metals sawing machine. This list of essential duties is not exhaustive and may be supplemented as necessary. Higher level qualifications from a scientific / engineering background would be a bonus. Experience working in a metals heat treatment company desirable. Forklift licence is a plus. Brinell hardness testing qualification is a plus. engineering environment will be considered. To perform in-house NDT techniques as required by the customer at all stages within the production route. To include; Ultrasonic Testing, Liquid Penetrant Inspection and Magnetic Particle Inspection. NDE Inspection of material using approved NDE techniques. NOE inspection using approved techniques & methods of NDE to defined standards, ensuring material is inspected and released with no NCR’s. Raise NCRs in the system on defects. Assisting the Heat Treatment Manager in any training of personnel / trainees. Crane / fork truck license. NDE of Black, Bright Bar and Semi-Finished Products. ASTN and/or PCN level 2 (forgings) qualified. Able to read and understand NOT specifications and procedures. Knowledge of Oil & Gas products desirable. Familiar Forklift license, overhead crane. Production Planner receives drawing packages and requisitions from sales team, adds planning data, enters job sheet into the system and further prepares drawing packets for the shopfloor. This position will be the focal point in creating a production scheduling system for Howco by creating. tracking and reporting on the current production status of released materials. Track and manage daily shop workload. provide feedback to assigned Manager in-house manufacturing hours and provide regular reporting on jobs status. Monitors, analyses and reports performance of production activities by utilizing information derived from material and production control systems. Coordinate with the relevant supervisor in sequencing jobs. Research and assign production times and due dates on parts during the releasing process. Monitor production schedule, quality, service. delivery issues and take corrective actions. Provide continual improvement on planning and reporting processes. Participate in project milestone meetings. Review customer requirements on the orders/drawings and take follow-up action. Ensure confirmed orders are planned in order. Plan production sequence and inspection requirements. Generate Job Sheet and ensure customer requirements are met. Productivity measurement and evaluation are carried out by tracking the efficiency, machine utilization and capability. Update the re-schedule delivery date and ensure changes of schedule delivery date are reviewed. Ensure incoming materials are correct according to quantity,size and job scope. Monitor and control tools from tools over-stocking. Notify QC for incoming and final inspection. Coordinator with sales department and monitor delivery schedule. Certificate/Diploma in Precision Engineering preferred. Experience in manufacturing process flow: sawing, machining, heat treatment and inspecfion. Some metallurgural knowledge of 4130, 410, Inconel steels. Excel in AutoCAD. Microsoft office (Word, Excel. Access. PowerPoint, MS Project). Self-motivated, versatile, self-starter and possesses positive attitude. Willing to learn new things, processes and not afraid to step out of comfort zone. Able to multi-task and work with stress. Based at: Gelang Patah, Johor Bahru. To prepare metal material for testing using machining equipment at our in-house test laboratory machine shop. This includes; CNC Turning, Sawing, Milling, Cutting, drilling, grinding and polishing. Prepare incoming raw material into the appropriate dimensions and surface finish to enable a range of mechanical and metallographic testing to be performed. Understand and interpret machining drawings and written instructions. Operate and be competent in a variety of machining disciplines. Accurate labelling of material at all the various stages of machining and preparation. 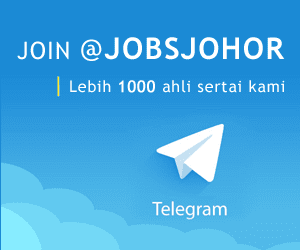 Minimum of 3-5years experience in machining. Knowledge of working in a Testing' environment desirable, but not essential. Must be prepared to work in other areas of the facility as assigned.